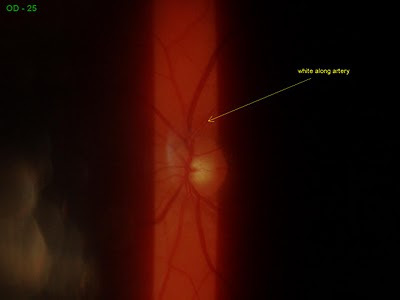 The arterioles in the retina on the top picture are normal. The bottom arterioles appear to have some whitening. In someone in their 30’s we become a little concerned about cholesterol levels.